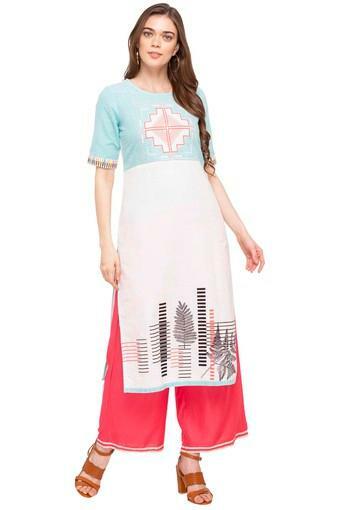 Embrace ethnicity with this beautifully designed straight fit kurta from Rangriti. It features a printed pattern that lends it a distinct look, while the round neck and the half sleeves enhance the overall design. 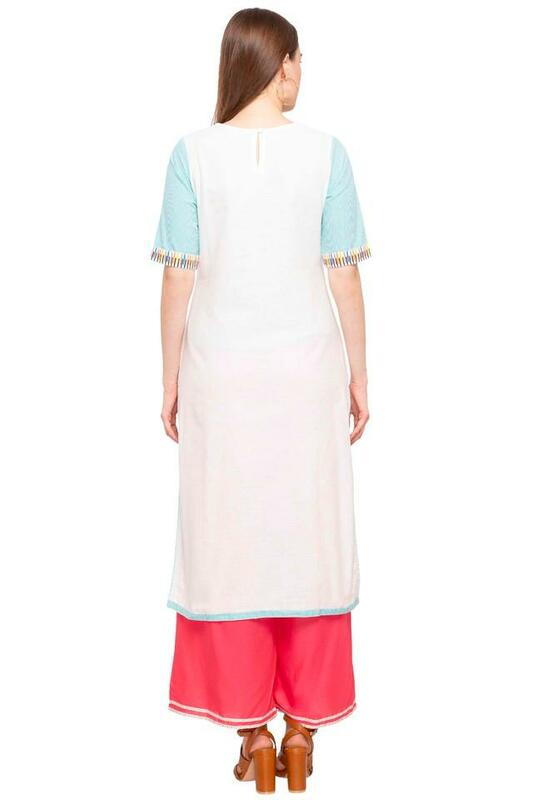 Besides, it is crafted with care using good quality fabric, which makes it comfortable to wear. Elevate your cool quotient with this exquisite kurta. 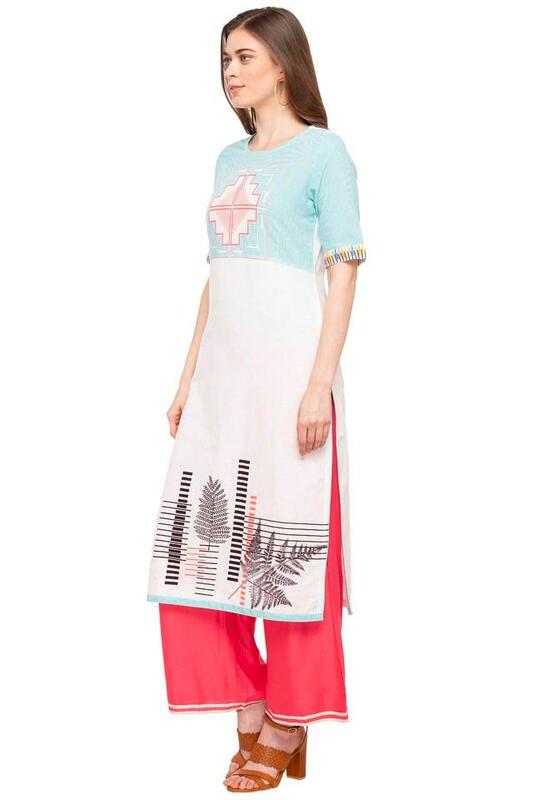 Team it with a pair of churidar and sandals for a charming look.